NestRoots is a dream house of design, aesthetics and elegance. Here, we do what we love and love what we do; it's who we are. Our goal is to create work that is honest and solutions that are captivating and fulfilling. We work with the belief that the journey should be just as exciting as the end result. And there’s nothing more exciting than setting up your own home… establishing your roots… For us, home is not just a place, but a feeling, a place of retreat, comfort and belonging. It's the most precious blessing and deserves to be beautified with passion. It unveils the persona of the dweller and we aspire to provide products that are not just practical but also inspiring and visually stunning. At NestRoots, we just hate being boring! 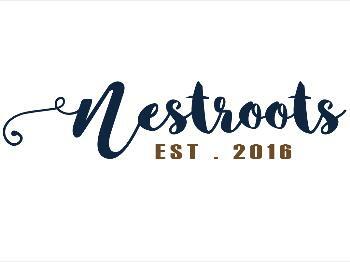 NestRoots is a dream brought to life by me. I was born and brought up in Delhi, graduated from a leading design academy in the capital. With more than 10 years of experience under my belt, I decided it was time to take a leap. That leap was called NestRoots. I have a flair for curating products, putting things together, and converting concepts into practically usable products are at the heart of NestRoots. Having worked with leading companies has helped me understand the importance of syncing a business idea with the needs of the consumer. This has also enabled me in setting processes and streamlining tasks efficiently. 1. Products are shipped within 24 working hours from confirmation. 2. Based on location, please allow 3-10 business days for delivery. 1. This product is a FINAL SALE. There will be no returns nor exchange. 2. In case a defective product is received, it needs to claimed with our customer service team with photographs of the product for the claim to be raised.